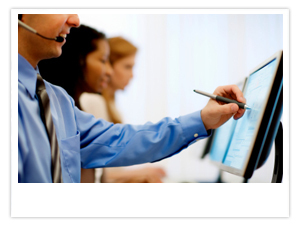 IT services are anything technology related that businesses depend on to operate. In the fast paced corporate world we work in today, computers and technology are used to automate or speed up regular business practices. IT Solutions have been developed to eliminate human error and to aid humans by doing the tasks that consume the most time. One part of IT Services is the ability to share information locally and world wide over electronic cables refered to as "computer networking." Computer Networking is the ability to share files, folders, printers and information acrossmany different computers. This can be done in a variety of different ways. One approach to networking is to setup a basic Local Area Networking (LAN), which is at least two computers connected together through a switch or hub. Another choice of Computer Networking is called Wide Area Networking (WAN), which is the process of allowing remote computers to connect to the current computer network at your companies main location. 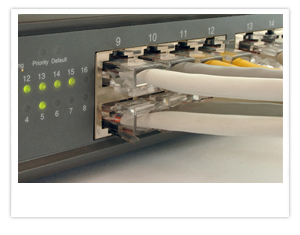 There are many variances of computer networking products or services out there. Along with the physical connectivity of cabling, wiring and networking appliances, there are many other factors involved in the connectivity of computer networks. For example, software, many companies looking for computer networking have software packages that are needed by multiple users. Also, Networking Operating System configuration and security configurations. Most of the time, certain individuals should only be allowed access to specific areas of the network. Finally, with today's ever evolving internet community, many users have a major need for the transfer of email and the usage of the internet. This allows for most employees to be more useful and productive during business hours. The ability to hop onto a search engine or search for something locally has become a part of every business.